Luxury holiday villas in Taradeau. Charming villa with private pool in Taradeau, Provence. 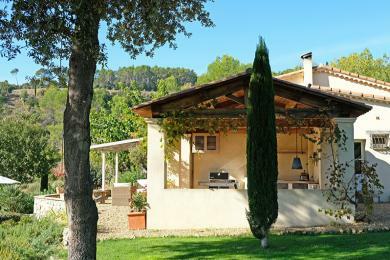 Beautifully situated on spacious grounds with views over Provençal hills, olive trees and cypresses. Equipped with all comforts while maintaining the characteristic charm of a Provençal house. The villa is suitable for 6 adults and 1 baby.